It is the enthralling theories and myths the Hinduism has, which surprises us day-to-day. There are enormous stories, plots, and facts that often spellbound us all the way to tickle the sense of curiosity about Hindu Mythology. Be it Ramayana, Mahabharata or other popularly sacred texts, every book carries heaps of stories, a handful of unearthed secrets and the mysteries that could stun everyone. Coming to the former epic tale Ramayana, there are many stories with remained unfolded and do deserve another read. Starting with Soorpanakha, one of the most stubborn characters who lost her beauty after falling in love with Lord Rama. In general, we often end up forgetting her fate after being swayed by Laxman, but, the story doesn’t end there. Sita’s abduction was avenged and Lord Rama emerged victorious, after fatally wounding King of Lanka, Ravana. 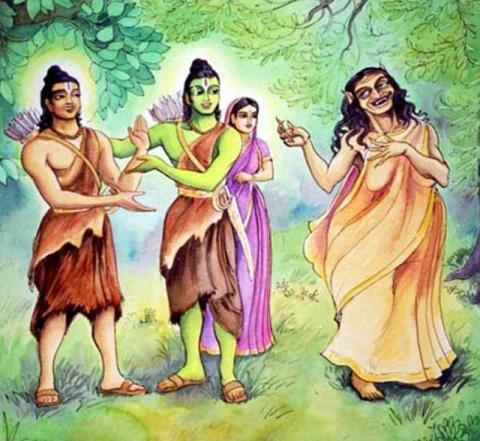 But, Soorpanakha after everything went to meet Sita. We all know that she is the one who was behind every ugly war that stirred the things between Rama and Ravana. 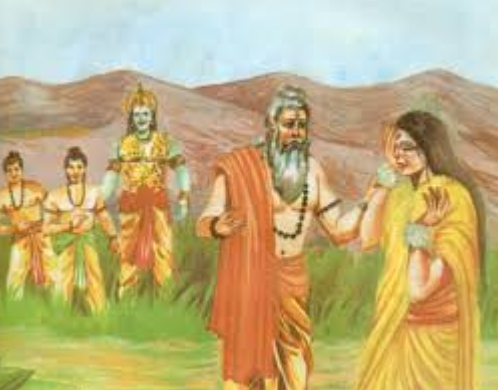 After Sita went into exile, assuming it as the time for revenge, she started heading towards Sita. While Sita was peacefully living her life, one-day Surpanakha arrived at her cottage to meet her. Surpanakha mocked Sita, and reminded her of the fact that it was she, who was now rejected by Rama, like once Surpanakha was dejected by him. She also reminded her of the insults that she bore and how happy she was that Sita would now suffer the same fate as her. 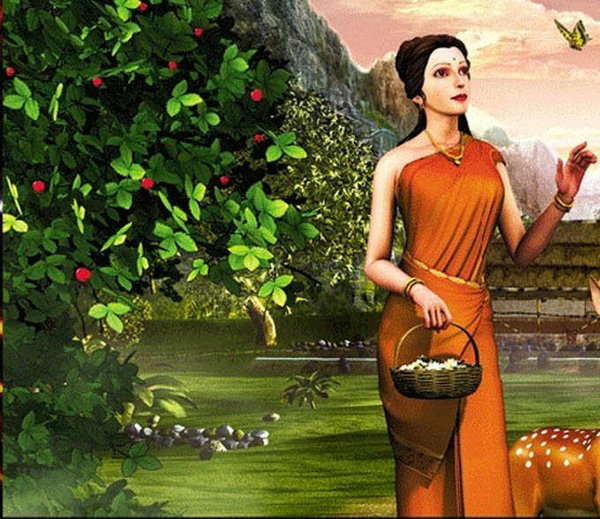 Sita, being her patient self, smiled, and instead of replying to Surpanakha’s mockery, offered her some fresh berries. Sita told her that these tasted as sweet, as the berries in Mandodari’s garden. Seeing her smiling and unmoved, Surpanakha was left perplexed; as she expected Sita to cry out in pain, so she could derive pleasure from Sita’s pain. But, Sita was nowhere near pain or misery, for she had accepted her fate. Hearing Sita speak with such calm, made Surpanakha even more furious and she demanded justice for the insult inflicted on her. Sita explained her further that her culprits have already been punished. Sita told her that ever since the sons of Dashratha disfigured her, they have known no peace. Yet Surpanakha rave and rant relentlessly. Sita advised her to let go and move on. They who hurt her cannot expand their mind. But surely she can. She explained to her that she (Surpanakha) had trapped herself in her own victimhood. And, like this, she will only be like Raavan. Sita asked her to stand upright while her brothers die, her sons die and her kingdom burns, imagining her own nobility. She added that cultures come and go. Rama and Raavan come and go. Nature continues. I would rather enjoy nature.